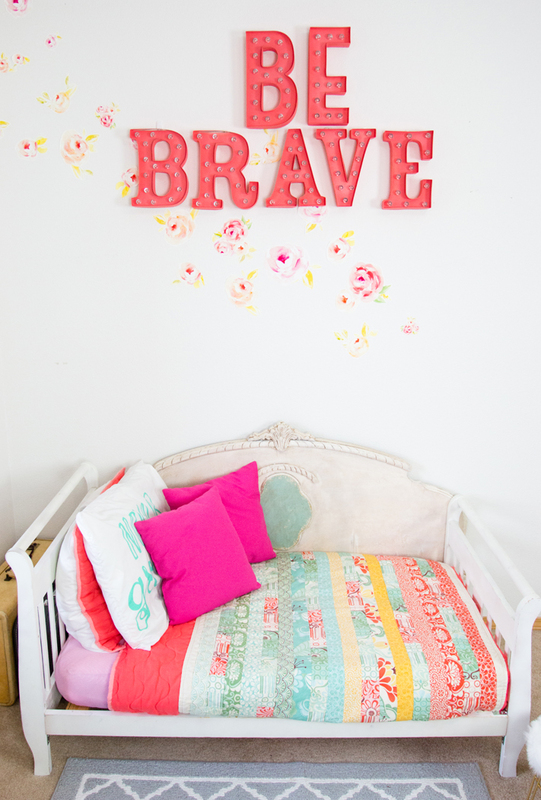 Today I am revealing my daughter's new bedroom! I think I would describe it as a touch of vintage with bold color! It suits her personality so much. I am in love with the floral wall paper and wall decals trending on Pinterest right now, but the price tag hurts! So I decided to make my own DIY version! This is a personal blog. All editorial content and projects are intellectual property of Create Often with Jennifer Evans. I am an employee and do receive financial compensation and material product from American Crafts to develop my craft posts. This post is also sponsored by Silhouette America. I create what I love and love to share what I create. but all ideas and opinions are my own. 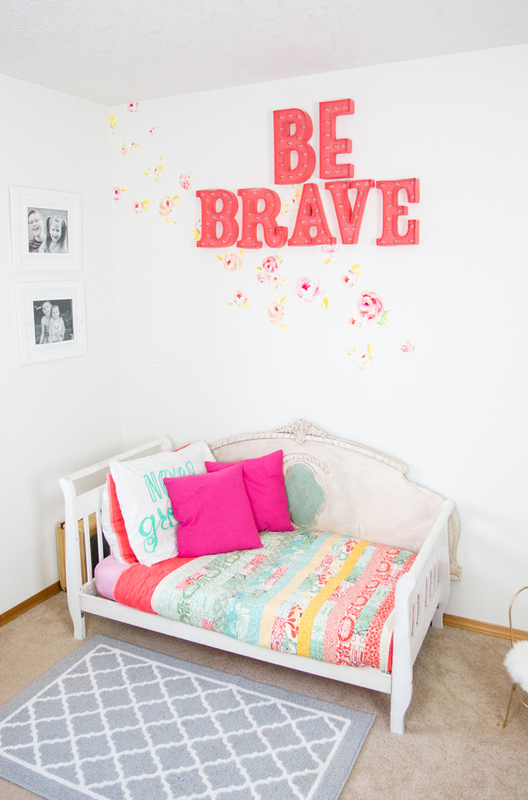 Since we moved in the winter, we wanted something temporary as we will be repainting our daughter's room this summer. At that time she will also transition into a twin size bed. So, I wanted to make sure that whatever I did in this room could be removed easily! 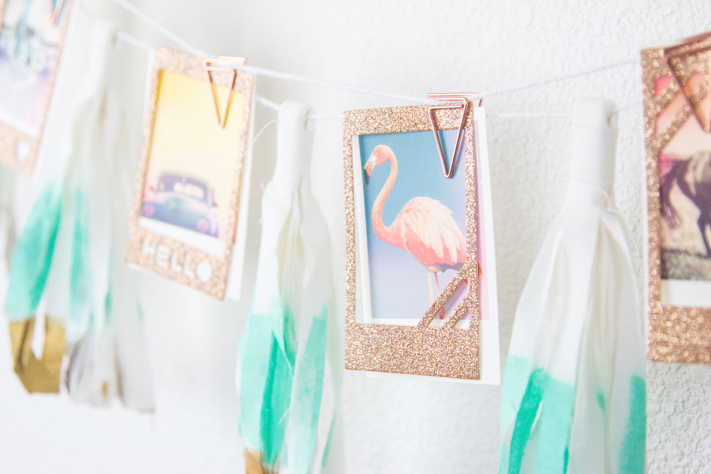 So, this DIY would be perfect for a rental apartment or home. 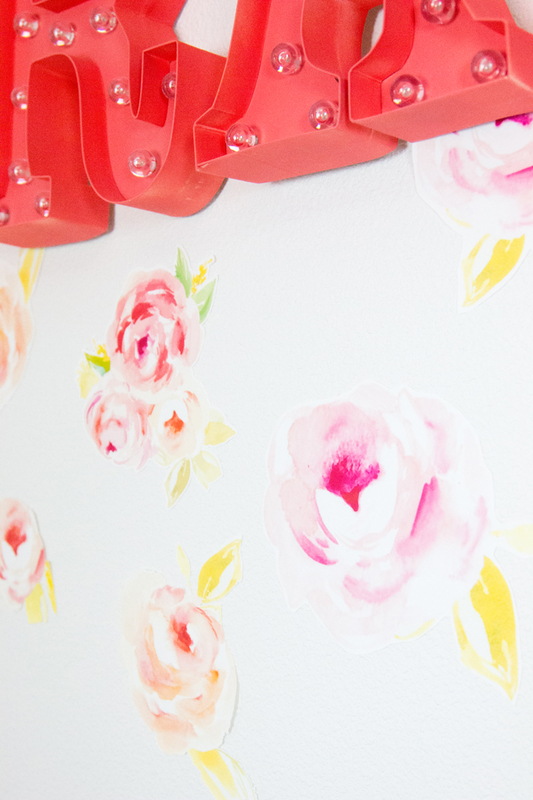 The Silhouette Cameo 3 was what helped me make these huge watercolor floral decals! Silhouette now has a Printable Vinyl! All I did was enlarge the Watercolor Floral designs in the Silhouette Store to fit 8.5x11 and did a print and cut! The Printable Vinyl can be compared to a thicker sticker paper. 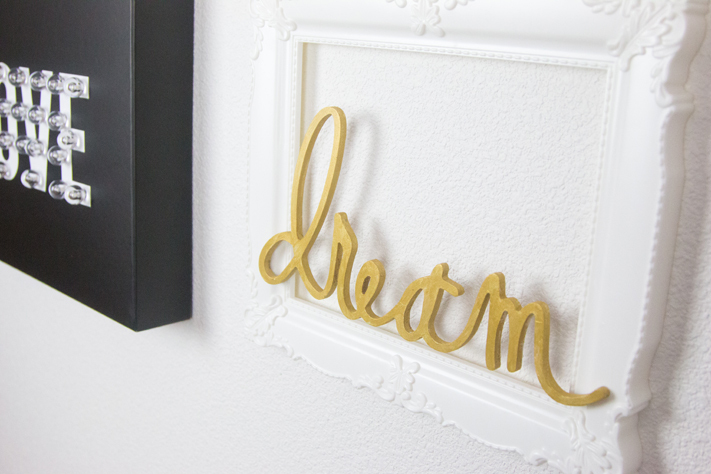 No need to use transfer paper to lay it on the wall! Just peel and stick! I made sure to print and cut several different sizes and kinds of floral designs from the shop to make it look natural. Depending on your size wall, you may use one or two packages. The package of vinyl comes with 8 sheets! 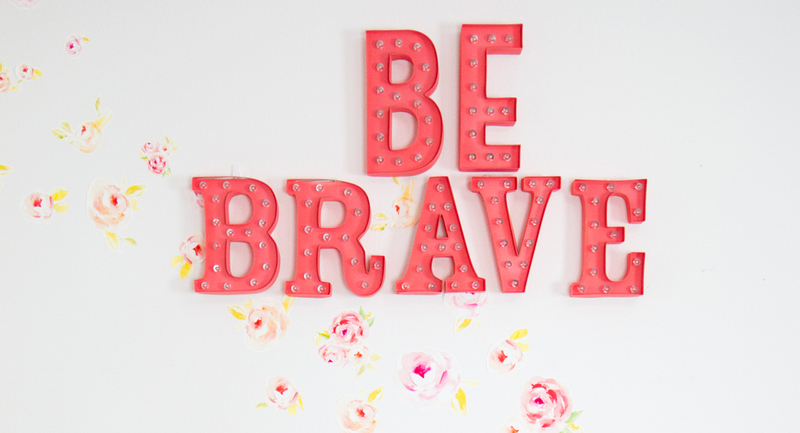 I hung the Heidi Swapp Marquee Love letters with Command hooks so that they could be removed easily to turn on and off if needed. I usually like to keep these off since some of the other art pieces in her room light up and we don't really need her room being seen from the neighbor's house at night! Ha! To the right of the bed, is her sweet vintage play kitchen. We were gifted this vintage children's play kitchen from Diane of Molly Mo's, knowing that my daughter would love it. Inside all the drawers and doors she keeps her pots, pans, and play food. 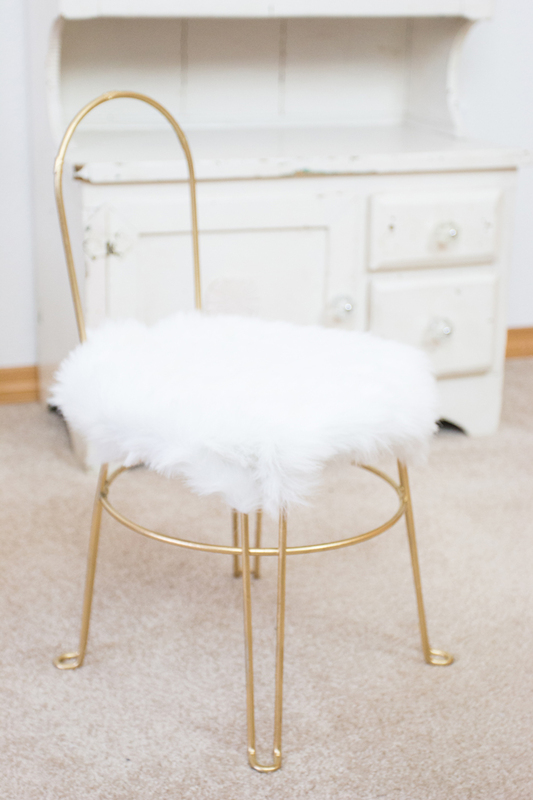 We were also gifted this children's cafe chair and I knew it needed to be gold with a faux fur seat! So, after spray painting it, I stapled the piece of craft size faux fur from Jo-Ann Craft and Fabric Stores. 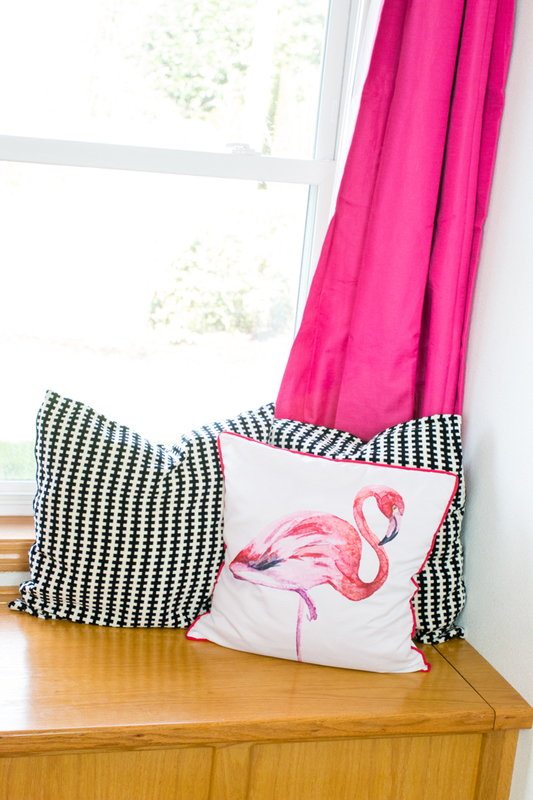 It is so fun to add things to her room that she loves, like flamingos and bunnies. She has always loved bunnies and one day she fell in love with flamingos when we visited a local park and there were some abandoned plastic flamingo yard ornaments. Ha! I can still remember her carrying one while I pulled her in her red wagon! She noticed this banner right away with the Typo "Instax style" images. 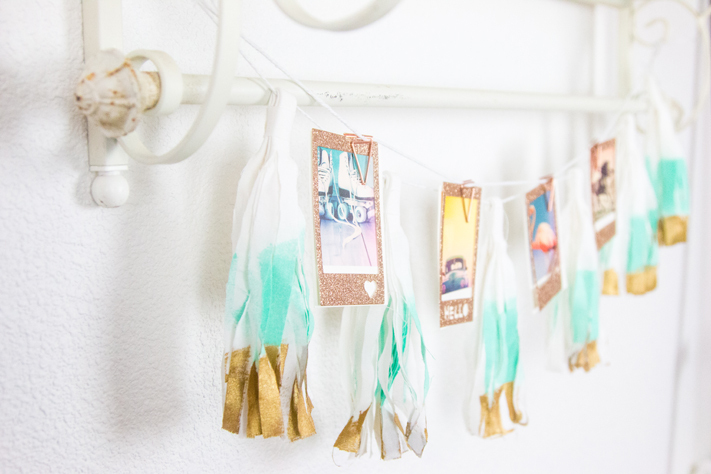 I hung it on a Heidi Swapp Instax Banner Kit. The kit comes with the frames, paper clips, string and more. The tassel banner was used from her last room, and can be found here. 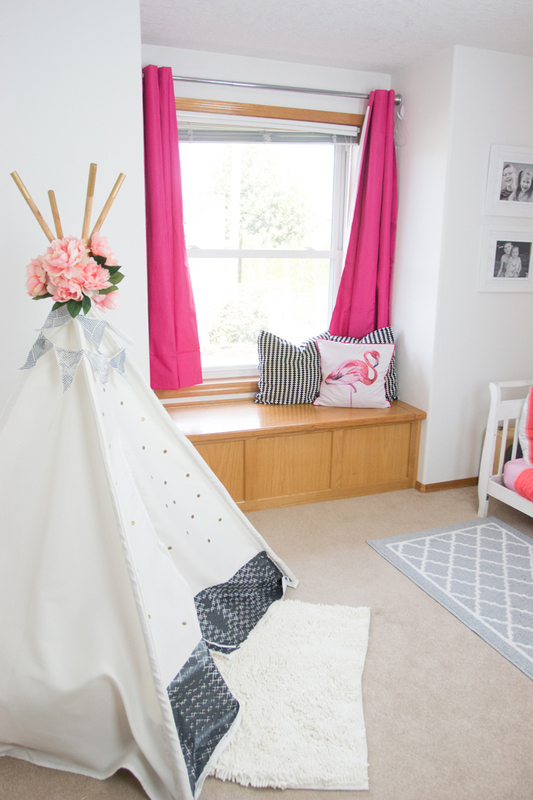 In the opposite corner of the room, we created a new look for her teepee. 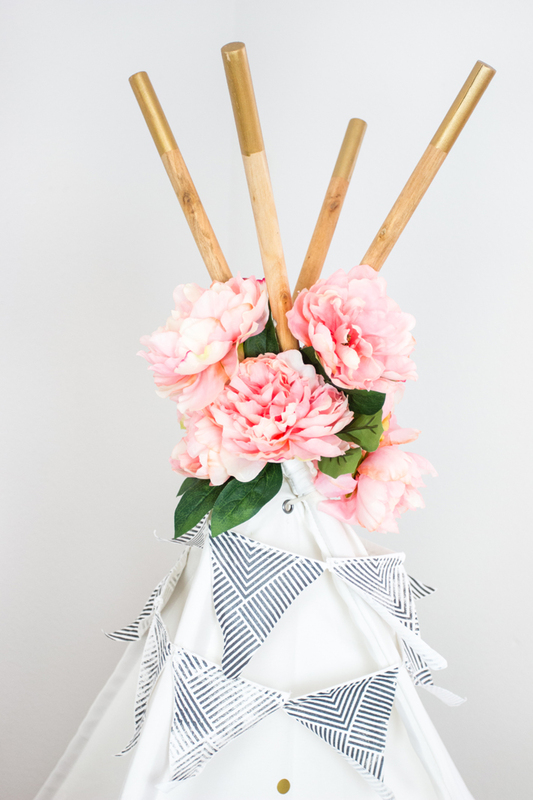 I love this We R Memory Keeper DIY Teepee because it is easy to change up it's look! Here are two other ways we have decorated it in her room (1, 2). I wanted to make the teepee match the wall above her bed, so I added some silk peonies and a banner brought over from her last room's gallery wall. 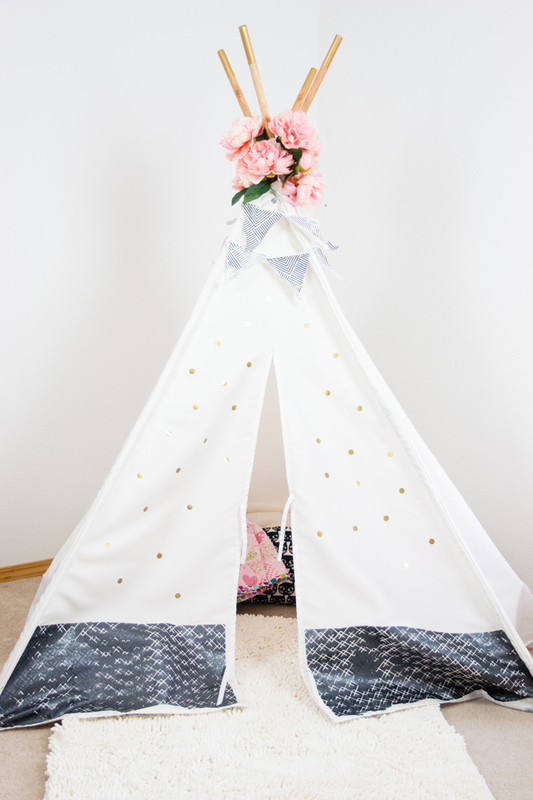 Then using the Silhouette again and the Gold Heat Transfer, I created small circles and added them to the teepee. I love the look so much! (Stay tuned in for the cut file). The poles are very easy to paint. 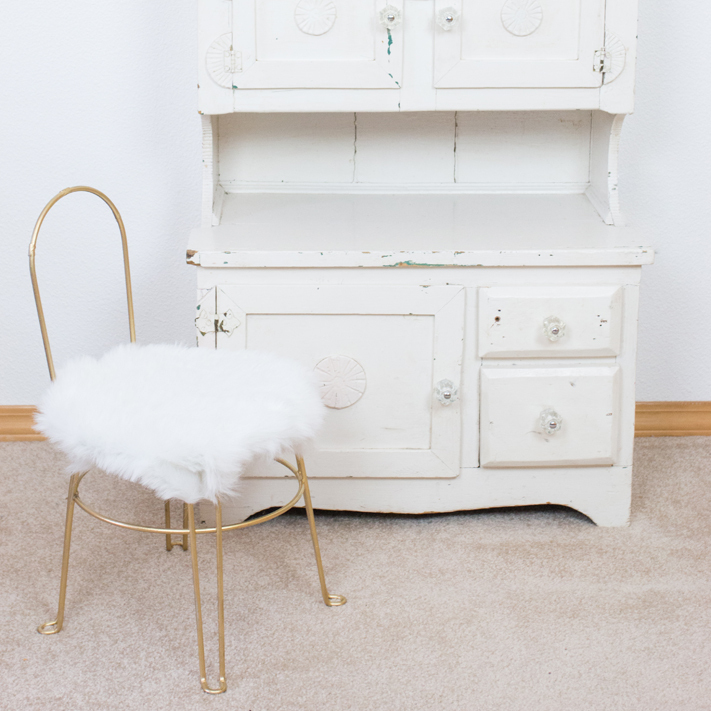 I love to use DecoArt's Dazzling Metallics collection for raw wood as the gold is a perfect match to the vinyl and spray paint colors I use most often. For the flowers, I did not glue them at all! I just tucked the stems into the the pockets for the poles. This will be easy to change out later as her room changes. I added pops of color on the built in toy box/window seat. We had to bring in some more flamingo accents to make her happy. On the left of the teepee is a little gallery wall next to a sweet table to play at. This beautiful table was given to my husband and I when were married by my sister's in-laws. Her father-in-law built it from scratch. The drawing on the top includes "mom", "dad", two children (a boy and a girl), with a dog. It was a good thing sweet Bethany came along. However, we are still allergic to dogs, but claim my twin sister's dog is visiting us in this drawing, ha! 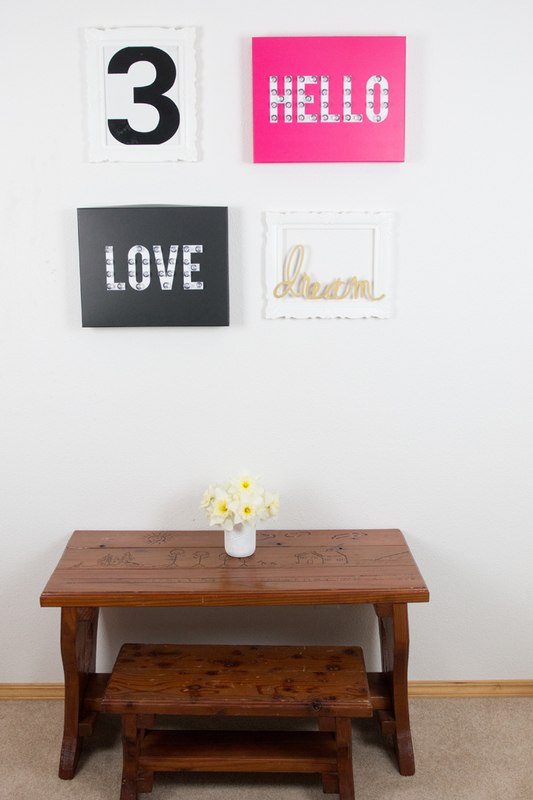 For the gallery wall, I used the Love and Hello Marquees by Heidi Swapp. Then, to add some dimension, I used E600 to adhere the painted Heidi Swapp "Dream" Wall Word to the Heidi Swapp Gallery Wall Frame and let it dry overnight. 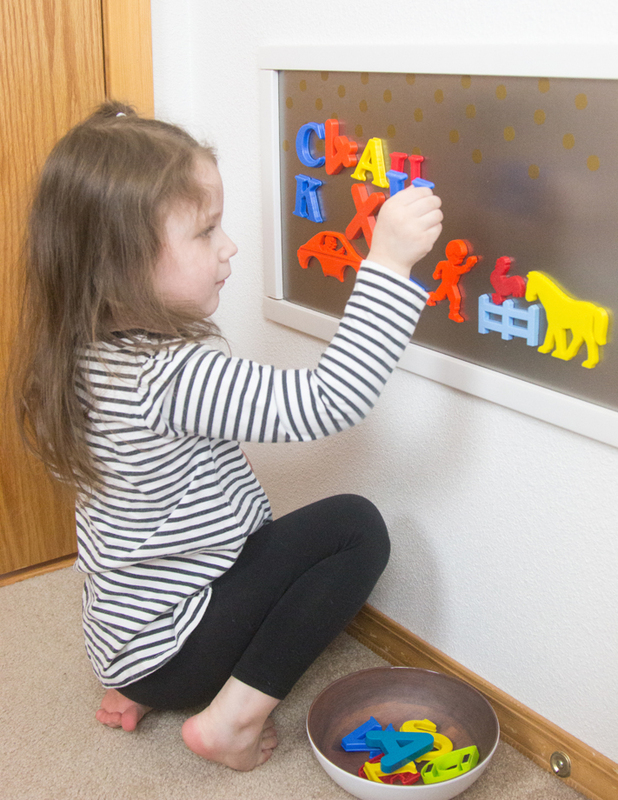 The number 3 is a vintage sign tile and can be flipped around to reveal number 4 when she turns four this summer. I love that it fits in another Gallery Wall Frame. 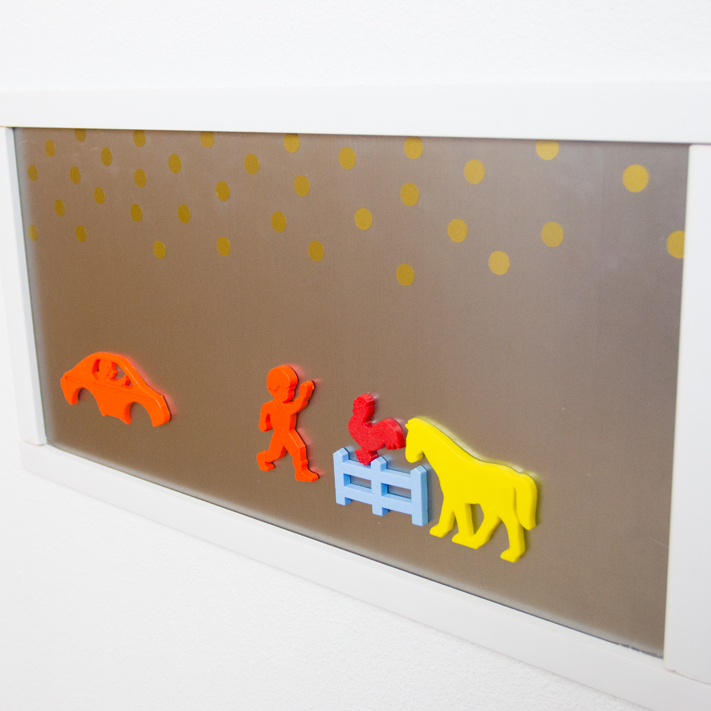 Lastly, I used the "usually" dead space behind the door to create a sweet little magnet board. This project was so easy to make! I purchased a piece of sheet metal and trim molding from my local hardware store. Then, after cutting down the trim (with a hand saw) I glued them around the edges. I made sure the pieces were level and let it dry over night. Then next day I adhered it to the wall with Command strips, making sure that they were placed evenly around the entire board. To decorate the sheet metal, I added Silhouette Matte Gold Vinyl with the same cut file that I used for the teepee. It was fun to just stick them on like stickers. 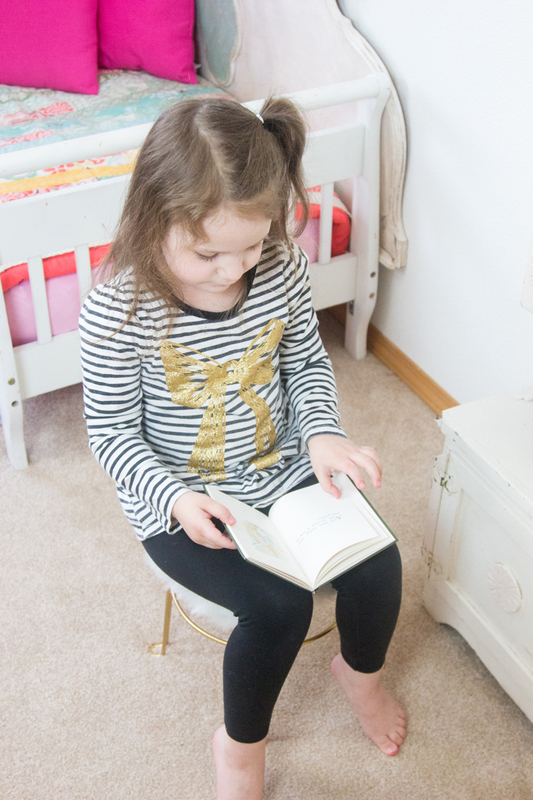 The best part of a big project like this is being able to see your child so happy in her new space! Thank you for joining me for this reveal! I had a blast and look forward to sharing some more of these projects' tutorials soon! Feel free to pin this project, for later! 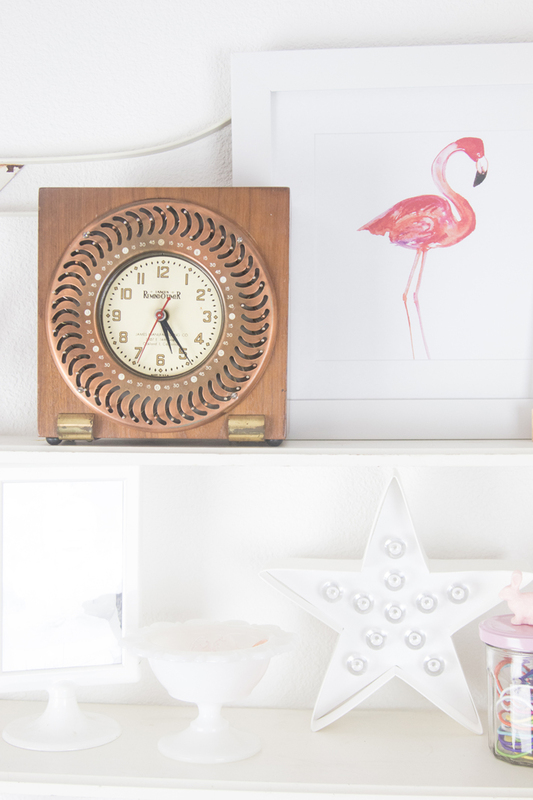 You can also visit my other home decor projects right here! A new space for a child gives them self pride where they start building responsibility to take care of it. I love everything on here. So inspiring. 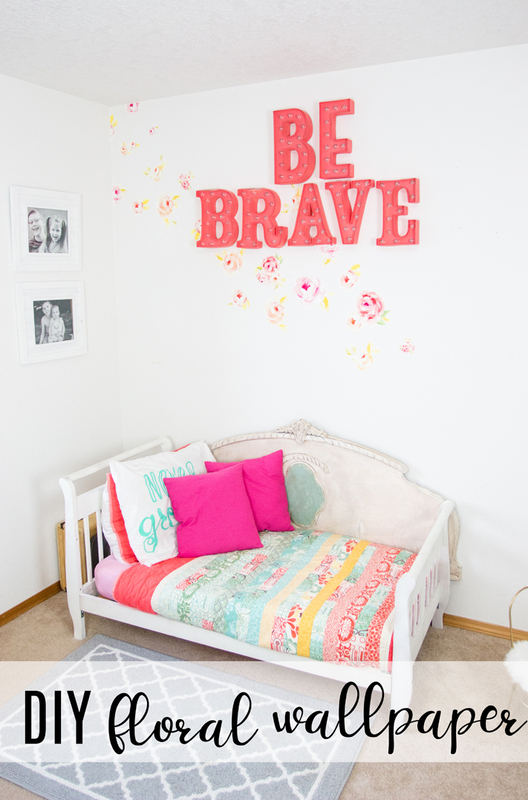 Me and my little girl are looking to move and I've been thinking of ideas for her room and this article has really taken me in a new direction and I love it! I'm so sharing this. Thanks for writing this! I so love that tent!